RANT: Do I need Vitamins? We Americans have a pill for everything: feel stressed? take a Xanax. Cant sleep? take an Ambien? Can’t get it up? take a Viagra. We even take our vitamins, which should come from our diet, in a pill form. We don’t even think of vitamins as being a part of food anymore. We think of vitamins as, well, vitamins. Those hard to swallow pills. Now, I’ve got nothing against vitamins; I even take about 10 of them each day myself. But A) we should be getting them from vegetables and B) most store bought vitamins have all kinds of additives and corn derivatives; many are made in China and have petroleum products in them. Yikes! Try the online True Health Assessment at this link to determine which vitamins are essential to your health. I still believe vegetables (and fruits) are the BEST way to get your vitamins; deep green veggies and red/purple/blue fruits are best ‘bang for your buck’. They are packed with thousands of phytochemicals, minerals and nutrients, almost impossible to create in a lab. But if you aren’t getting 5 servings a day, and even if you are, to optimize your nutrition, I highly recommend supplementation. Good sleep, low stress and a healthy libido, however should not come from a pill. I have been a member at ConsumberLab.com for several years — they provide independent test results for vitamins and supplements. 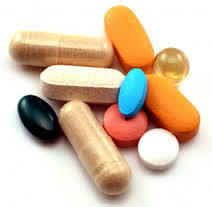 It is amazing how many supplements either don’t contain what is claimed on the label, or have added ingredients that you would never want to consume (like the vitamins that come from China). There is little clinical evidence that vitamins offer any value to your diet. There are several papers indicating that they do harm – David Agus wrote about this in the book he published last year “the end of illness” and references a few of the studies. As referenced in the article – we should be consuming the foods and not the pills. – Just imagine what the fish looked like that was sent to the fish oil factory – if it was a healthy fish it would be sold to a sushi or other consumer grade distributor. I used not to supplement at all, but started taking USANA when, after much research, I learned their products have met the highest international standards (bc the US does not regulate), for over a decade! Im sure there are others that are worth taking as well, but for me, these products round out my nutritional needs and and I feel great! That’s an n=1, but they work for me! Interesting, David. What made you decide to become a member? Do you supplement? What have you learned by being a member? Previous Previous post: RANT: Why Buy Local?